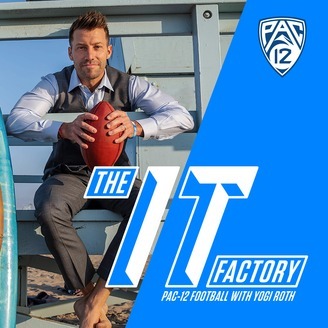 The Yogi Roth Show is a podcast that explores the humanity in sports. 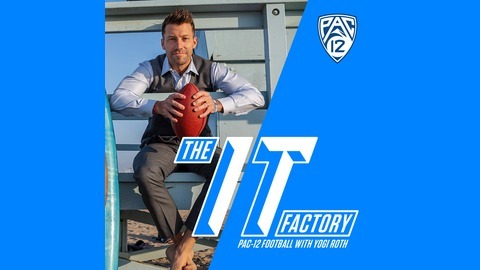 Join award-winning storyteller, broadcaster and explorer Yogi Roth of Pac-12 Network as he sits down with the world’s most influential athletes, coaches, writers, travelers and thinkers to discuss how sport and physical activity has shaped their lives. You’ll also hear how the guests continue to impact the world around them using the lessons they learned on the field and court, and even be invited to get in on the action yourself by learning how you could add value to various organizations and initiatives. It’s amazing the impact that a few people can have on this world through the teaching, appreciation and celebration of sport. #HowGreatIsBall?! This incredible conversation with Metta World Peace takes you inside the mind, heart and journey of one of the most recognizable figures in sport. Metta shares, in a style that is fully his, what his ‘normal’ was like growing up as a child as well as the various stages of his career in the NBA. During a live event created by Thuzio, which creates unique and unfiltered events with sport figures, Metta will capture you with the details of his youth in New York City to making tough decisions and eventually using his competitiveness to get him on a championship path in the NBA. Metta describes his transition to the pros, that night in Detroit known as the ‘Malice at the Palace,’ and how he overcame massive internal battles that had defined him for so long. This inspiring conversation with host Yogi Roth details the growth of Metta as a human being. The Yogi Roth Show podcast is presented by KonaRed, a leader in the coffee industry that sources some of the rarest, most sought after coffee in the world. It is grown on the volcanic mountain slopes of Hawaii where each coffee cherry is hand picked at peak ripeness. Be sure to check out www.KonaRed.com, where you can learn about their premium coffee beans, cold brewed coffee or Cascara, the Hawaiian Coffee Fruit. Follow Metta World Peace at his website: https://www.mettaworldpeace.com/ or @MettaWorldPeace For more conversions around sports and humanity visit www.YogiRoth.com/podcast or follow @YogiRoth.